What did the Apostle Paul do when Pre-Christian Europe was pagan, relativistic, and pluralistic? He did apologetics among his contemporaries. Paul went to the Jews arguing from the Old Testament Scriptures that Jesus was the Christ. Paul also went to pagan Greeks and used their literature and cultural artifacts to argue that the "unknown God" has been revealed and proclaimed in Jesus. 21st century Europe is in a state very similar to Paul's time. Just as Paul confronted the marketplace of ideas in his generation, Europe today needs gifted apologists who can demonstrate that Christianity is true and relevant. Therefore, the vision of the European Apologetics Network is to train a new generation of apologists who can stand in today's marketplace of ideas in the way that Paul did in his generation. Our desire is to develop apologists who will testify to the truth of the Gospel with wisdom, versatility, and courage in their efforts to persuade their contemporaries. Applicants should be those with evangelistic or apologetic gifts who have previously attended the European Leadership Forum Apologetics Network: Foundational Track and the European Evangelism Network. The purpose of the Network is to train, mentor, equip, and resource those evangelists and apologists who are seeking to communicate the Gospel in their local communities. This Network will be led by Bruce Little. Prior preparation will be set for all applicants. Bruce A. Little has master’s degrees in Apologetics and Religion and a PhD in Philosophy of Religion and a DMin in Apologetics. Presently, he serves as Adjunct Professor of Philosophy and director of the Francis A. Schaeffer Collection at Southeastern Baptist Theological Seminary, where he served on faculty since 2001 until he retired in 2018. While at Southeastern he served as the second director of the L. Rush Bush Center for Faith and Culture from 2008 to 2013. From 1969 pastored several churches, three of which he helped start, and taught at a Bible college (1965-2000). Since 1995 he has travelled widely to several continents lecturing in universities, teaching in a variety of schools and presenting papers at international conferences. He has published in various professional journals, edited several books, either authored or co-authored six books and contributed chapters in several books the last being God and Evil published by InterVarsity Press, 2013. Ralf Bergmann received his degree in physics and a doctorate from German universities. He is or has been involved in topics such as solid-state physics, semiconductors, photovoltaics and optical technologies at several research institutions in Germany and Australia and has also worked in industrial research. Currently he is a professor at a German university and head of a research institute working on optical technologies and optoelectronics. Beyond his research, he is interested in defending the reasonability of Christian faith, especially all around the triangle of physics, philosophy, and theology and the relevance of Christian faith for modern western society. Hatun Tash lived in a Muslim country for 27 years but now lives in the UK. She studied various topics at university and has degrees in bank management and economy, law (basic human rights), maths and physics engineering, and philosophy. She also studied apologetics at the Oxford Centre for Apologetics in Oxford, England. Hatun is the director of DCCI Ministries. She lives an evangelist lifestyle and has a big burden to share the gospel and to see the church equipped. Beside engaging with Muslims at Speakers’ Corner and in mosques every week, she is involved in Christian-Muslim discussion, debates, and Bible studies, while also teaching and training Christians to be better witnesses for Christ. Daniel von Wachter (www.von-wachter.de) is professor and director of the International Academy of Philosophy in the Principality of Liechtenstein (www.iap.li). He is German and studied philosophy and theology at Munich, Liechtenstein, Innsbruck, Hamburg, and Oxford. Before he moved to Liechtenstein, he was a professor in Chile. Metaphysics and philosophy of religion are the main areas of his research. His method is within what is associated with analytic philosophy, but he places himself in the broader tradition of European philosophy, especially Protestant scholasticism and the non-deterministic philosophers of the 18th century. Daryl McCarthy serves as Vice President of Academic Programs and Strategy with the Forum of Christian Leaders (FOCL). Besides leading the ELF Academic Network, he also directs the Cambridge Scholars Network. Daryl has traveled to more than 55 nations, speaking at universities, conferences, and churches. In 1988 he helped launch Global Scholars and served as CEO/President until 2014. Earlier, he taught for several years at Kansas Christian College. Daryl earned a doctorate from Fuller Theological Seminary, as well as graduate degrees from Nazarene Theological Seminary and Trinity Evangelical Divinity School. Daryl and his wife Dr. Teri McCarthy lived in Lithuania from 2010 to 2015, where they taught at Lithuania University of Educational Sciences in Vilnius. They have a son and daughter who are both married and they have five grandchildren. Daniel R. Patterson lectures in theology and ethics at St. Trivelius Institute in Sofia, Bulgaria, and is an adjunct researcher at Sheridan College in Perth, Australia. He recently completed a PhD in theological ethics at the University of Aberdeen under the supervision of Brian Brock and Stanley Hauerwas. His research interests include gender, sexuality, and the body, particularly where theology and the gender theory of Judith Butler intersect. Dan and his wife, Katie, live with their two daughters in Bulgaria. He blogs at www.danielpatto.com. Stefan Gustavsson is a member of the European Leadership Forum Steering Committee. He is the director for Apologia – Centre for Christian Apologetics and makes his home in Stockholm. 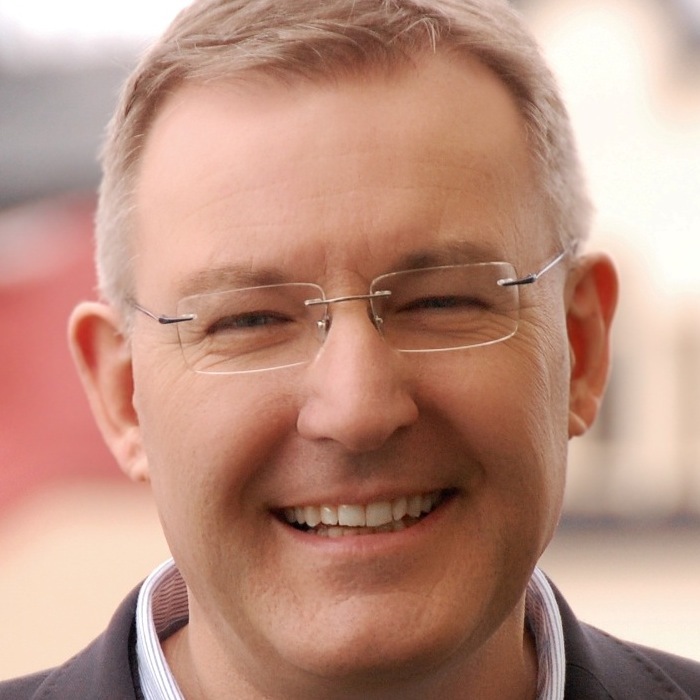 He was the founding General Secretary for the Swedish Evangelical Alliance. Stefan travels widely with apologetic teaching and training and is often involved in university evangelism and public debates. He is the author of several books on Christian apologetics and the Christian mind. Stefan is married to Ingrid and they have three grown children. In a post-Christian Europe, we face a twofold challenge of intellectual and emotional deception. The first creates a false alternative between a “scientific” worldview and the Christian faith, and the second creates a false alternative between a “progressive” mindset opposed to an apparently suppressive, fearful, and outdated Christianity. Even many Christians are emotionally and mentally immobilized by adopting secular worldviews while they try at the same time to argue the case for Christianity within the mental paths determined by these views. The challenge is therefore to understand and overcome a misleading mindset as well as the corresponding emotional obstacles. In order to strengthen Christian students and academics, we need Christians on all levels of academic life who model the freedom of Christian thinking, encourage others on a personal level, identify and tackle structural, institutional, or political barriers, share best practice experiences, and finally initiate ideas that work in a given environment. This talk will give some examples and seek to encourage a stimulating discussion. This talk presents a view of pre-evangelism as identified and practiced by C. S. Lewis and Francis A. Schaeffer in the 20th century. It was informed by their mutually held metaphysical realism, believing there was an objective right and wrong by which this world was ordered. In their pre-evangelism, Lewis and Schaeffer first showed the unbeliever (post Christian) that he was wrong before showing him why he was wrong. Schaeffer led the post Christian to follow his beliefs to their logical conclusion. Lewis did the same, but he also used imagination to awaken the objective notion of the true, the good, and the beautiful and showed that this sense of longing could not be explained by a naturalistic worldview. The goal of this talk is to show the importance of metaphysical realism in relation to pre-evangelism in our post-Christian world and how Christians might use pre-evangelism in their witnessing. There is an urgent need for apologetics – explaining and defending the Good News – in post-Christian Europe. But how can we move from sporadic seminars or individual lectures about apologetics to a strategic, long-term building up of a culture of apologetics in the church and in our evangelism? In this presentation Stefan Gustavsson will share his experience of a 30 year ministry of building an apologetic movement in Sweden. This lecture will give some general introduction into the emergence of the canon, the better known Apocrypha of the Old Testament, and the significance of some of the most prominent Pseudepigrapha. Constantin Tischendorf, one of the greatest textual scholars of the Old and New Testament, and well-known for his discovery of the Codex Sinaiticus, edited also many apocryphal and pseudepigraphical works. He knew the value of these books in two major aspects: (1) They can give valuable information about the language, patterns of thought, and popular beliefs at the time of their formation. (2) They are a background against which the Greek scriptures unfold their real intellectual depth, historical entrenchment, and redemptive power. How Do We Best Present Evidence for Jesus' Resurrection? This talk shall suggest that arguments for the resurrection of Jesus are important and valuable for Christians as well as for evangelism. It is powerful evidence not only for the existence of God but also for the truth of the gospel. In contemporary philosophy this topic is approached with Bayes’ theorem, which is entailed by the standard axioms of probability. This talk shall explain in simple terms how this can be employed usefully. Appealing to the fact that we generally trust our senses, it shall present a way of structuring the argument which makes it particularly effective. By telling the story of what God has done in the past, we can see more clearly what He is doing today. As we see how followers of God served Him in the past, we learn lessons for what we should be doing today. Showing the footsteps of God in history provides a bridge for communicating the Gospel with unbelievers today. This workshop will include interviews with three Christian leaders who have effectively used history to communicate with believers and unbelievers alike. The goal of this workshop is to encourage ELF participants to learn the history of Christianity in their country or region and find ways to effectively tell that story today. What is queer theory? Where did it come from? Why was it formulated? In this session, we will investigate queer theory and explore the impact it is having on this moment in time. We will see that despite appearances, the current questioning of gender is not a new phenomenon, but is the fruit of a theory that has been growing steadily for over three decades. This session is concerned with helping Christians to understand the context into which we seek to proclaim the gospel. By understanding better how queer theory is shaping our world, we will be better equipped to speak truth into it. Muslim Evangelism in Practice: How Does It Work? We all know how important it is to reach those who do not believe in Christ as their LORD and Saviour. In this session we will be looking at how we actually do it, specifically how Bible-believing Christians can engage with Muslim people. What is our goal and how do we get there? The session will include practical examples and tips on: How do we start Gospel conversations? How do we finish these conversations? How do we set up Bible studies?